The concept for “I’m Your Neighbor” began in discussions in 2010 between book engagement consultant Kirsten Cappy of Curious City, and Maine authors Terry Farish, Anne Sibley O’Brien, Reza Jalali, and Maria Testa, all of whom have researched and published books set in Maine’s “new arrival” community. Those discussions recognized that these Maine-based books were the vanguard of a growing genre of children’s books published post 9/11 set in the United States’ new immigrant and refugee communities. Kirsten Cappy, Terry Farish, and Anne Sibley O’Brien presented a symposium on “New Neighbors” for the International Reading Association Annual Meeting in April ‘12 to highlight the genre and to offer ideas for community engagement using the titles. To support that symposium and to provide a national resource for this important genre, Kirsten Cappy secured support through Wheaton College (Norton, MA) in the form of a summer intern, Delanie Honda, to build the database of refugee children’s literature, www.ImYourNeighborBooks.org. The website features a recommended list of books and an evolving repository of engagement projects for educators, librarians, and community organizations who seek to build bridges between new arrivals and long-term communities using literature. In the midst of the database/website project, Cappy, O’Brien, and Farish brainstormed ways to use these Maine-based books in a pilot program of community read and engagement that could serve as a model for other cities nationally. Conversations with community organizations and individuals included Portland Public Library, Catholic Charities, Welcoming Maine, Portland Adult Education, Ocean Elementary School Avenue PTA, USM Department of Multicultural Student Affairs, and The Telling Room. 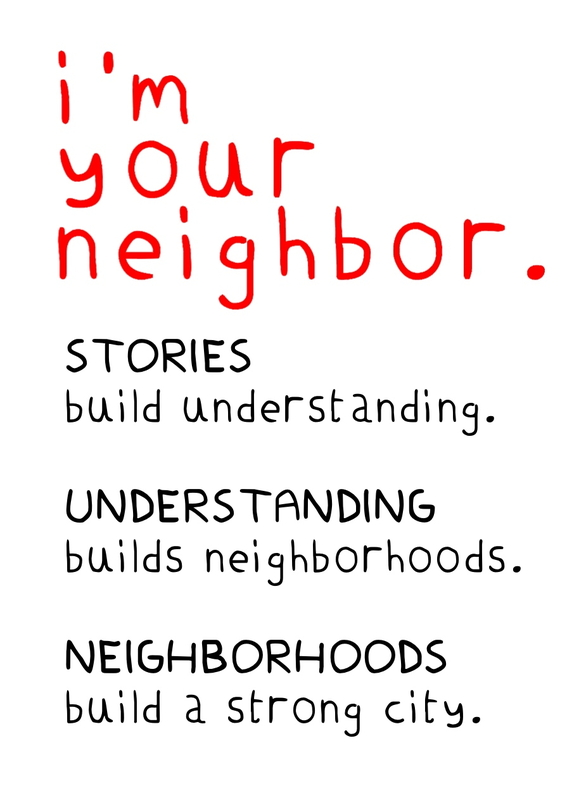 From those conversations, the I’m Your Neighbor, Portland concept emerged. Cappy, O’Brien, and Farish in partnership with the Portland Public Library wrote a grant to the Maine Humanities Council in November of 2012 and the grant was awarded for 2013.